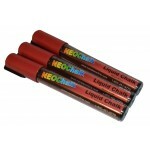 You can use these bright NeoChalk pens on a variety of surfaces, including acrylic boards, glass, stone, metal, plastic and most any other smooth surface. 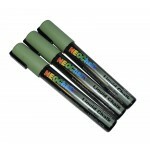 Restaurants, bars, retail stores, and many other establishments use these pens on a regular basis. The dynamic colors of the liquid chalk marker make the most simple messages seem important. The fine (6mm) 1/4" chisel tip allows you lots of control for fine point or medium writing. 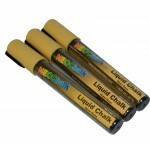 We sell liquid chalk markers in many different tip widths and colors for you to choose from as well. 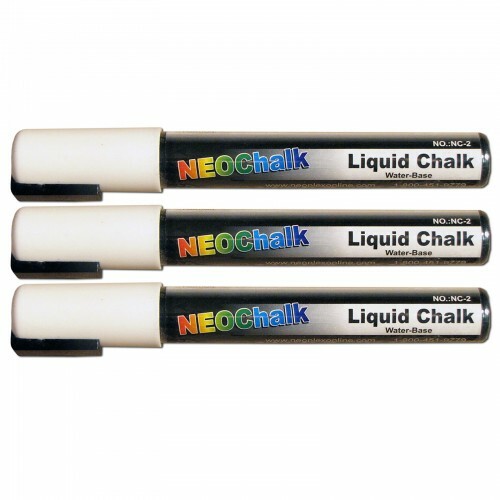 Click here for instruction on how to remove chalk markers!